Northern California may get all the love when it comes to vino — but when you go wine tasting in San Diego, you can sip in the year-round sunshine at these vineyards and tasting rooms. I’ve pursued my passion for full-bodied cabernet sauvignons and crisp sauvignon blancs in some of the world’s top wine regions — from Bordeaux, France, to Hawkes Bay, New Zealand, and, of course, the Napa and Sonoma Valleys of Northern California. It was an easy 30-minute ride north from downtown San Diego to Escondido, home of Orfila Vineyards & Winery. The small-production winery is set on a 70-acre estate not far from the San Diego Zoo Safari Park. 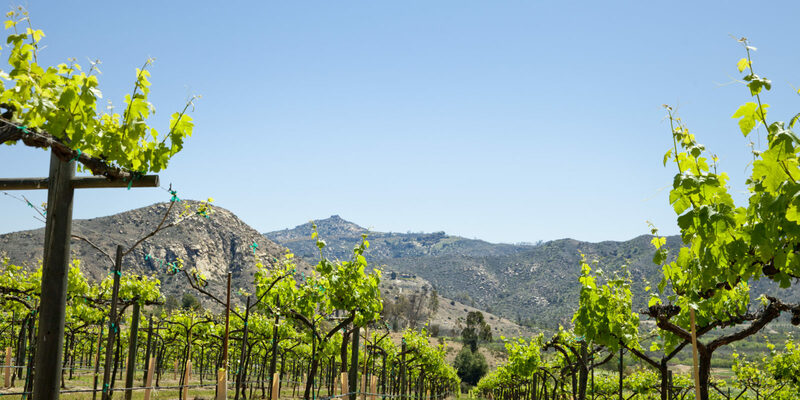 Orfila focuses on French and Italian varietals, which they grow locally on sunny hillsides about 15 miles and 500 feet above the Pacific Ocean, as well as at vineyards in Sonoma and along California’s Central Coast. The winery also offers free 30-minute, no-reservations-required daily tours at noon. We headed inside the large warehouse-style tasting room and took our spots around the bar. The fee — $15 for six pours of your choice and a souvenir tasting glass — was to our liking, as was the wine. Chris and I ordered a single tasting to share. I stuck with the reds, inhaling the luscious aromas of a Syrah, Pinot Noir and Cabernet Sauvignon and lightly sampling each (I loved the vanilla and blackberry notes in the Syrah). Then I headed out to the patio with several friends to soak in the sun and check out the view. 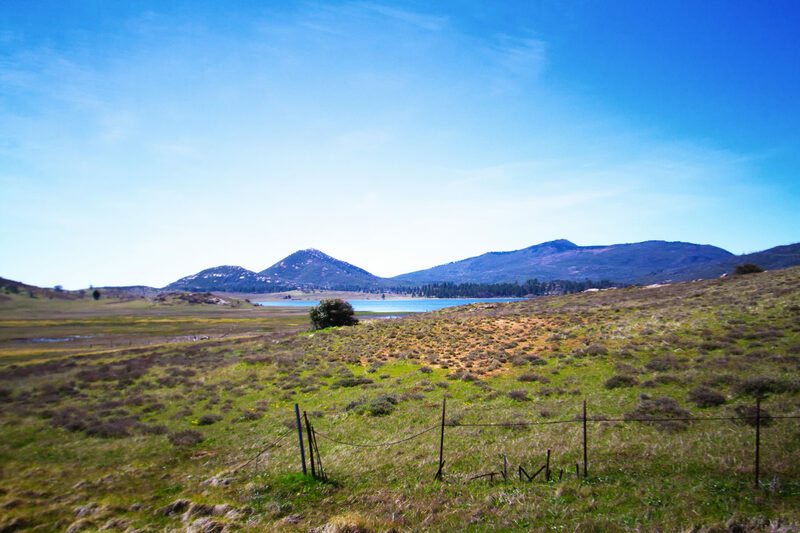 Later, we took a scenic 50-minute ride to Julian, a historic gold-mining town in the Cuyamaca Mountains. It’s famous for its apple pies, but it’s also home to several wineries and tasting rooms (Orfila has one here, too). We chose Menghini Winery, which is set on six acres and located three miles north of town in the foothills surrounding Volcan Mountain. The moment we arrived, I knew we were in for a totally different experience. The family-owned winery has a down-to-earth and rustic vibe and a quirky tasting room filled with antiques and other decorative items. We were greeted by the owner’s roving cat and dog — guests’ dogs are welcome, too. 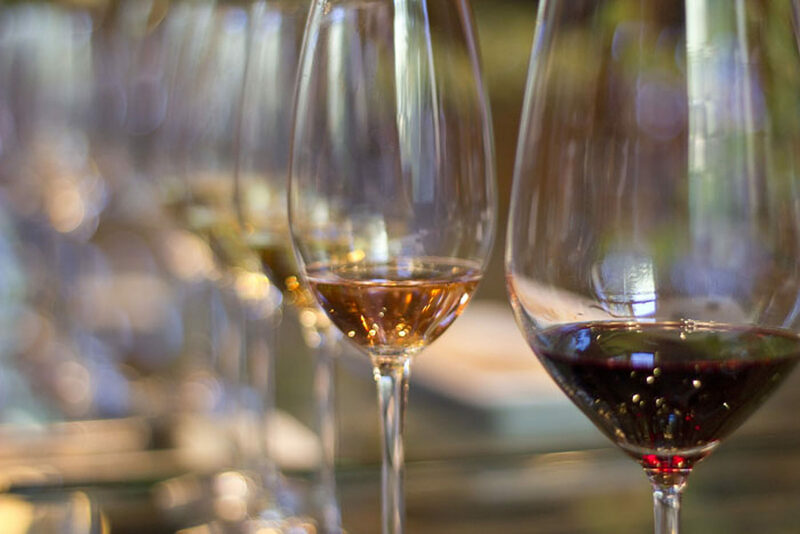 Tastings are $10 for six wines and include a mix of whites (sauvignon blanc, chardonnay and pinot grigio), reds (syrah and merlot) and a rosé. I savored a sip or two of each of the flavorful reds before I grabbed a bottle of water and headed to the back porch to relax. 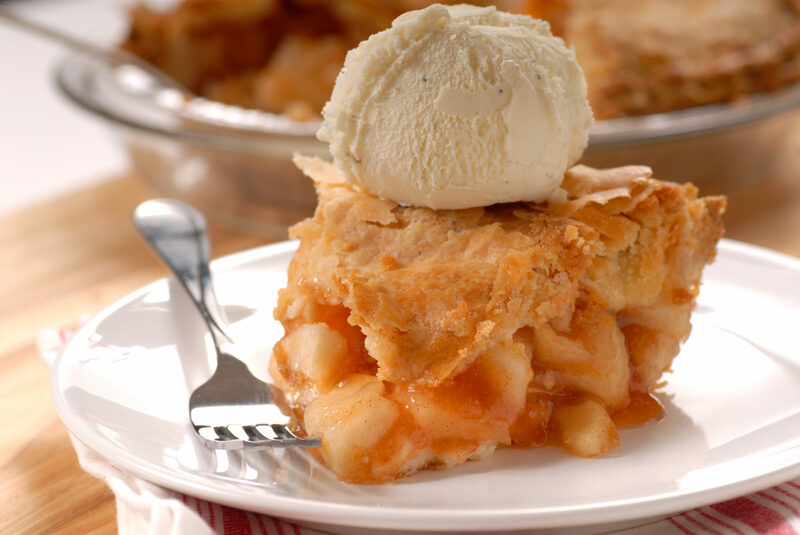 Next, we headed into town to eat a late lunch and taste Julian’s famous apple pie. It was a struggle to pick just one variety to try at Julian Pie Company (one of three main bakeries in town). I couldn’t decide between the Caramel Dutch Apple and the Cherry Apple Crumb — so I ordered a piece of each. As we began the journey back to San Diego, everyone raved about the sweet finale to our trip.